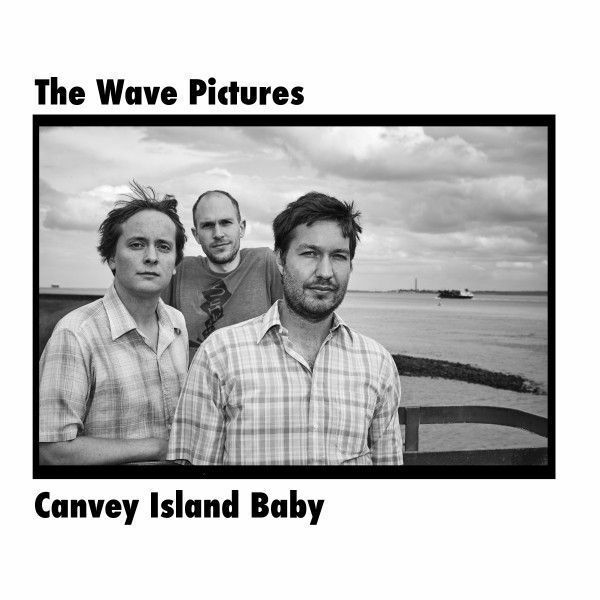 > Music>The Wave Pictures - "Canvey Island Baby"
The always prolific The Wave Pictures release an exclusive 10" on Madrid-based label Acuarela with five very fine covers and an original in tribute to the legendary Wilko Johnson, mythical founder of the rhythm and blues band Dr. Feelgood. The Wave Pictures are strange: they are an indie rock band without indie rock influences. Everything they have been listening to throughout the years is blues and American 50’s and 60’s rock‘n’roll. Nevertheless, they have never enjoyed those retro behaviors which slavishly copy the looks, sound, haircut and sources of the past which escape from the spirit of the music they love. They have their own style and they don’t want to be a blues band, but the blues is there, in the invisible nucleus of everything they do. Following on from 2015’s Billy Childish collaboration ‘Great Big Flamingo Burning Moon’, their recent acoustic record ‘A Season in Hull’ and their latest LP ‘Bamboo Diner In The Rain’, The Wave Pictures pay tribute in ‘Canvey Island Baby’ to one of their major influences: Wilko Johnson. The founding member of Dr. Feelgood credited as one of the greatest ascendancies of the English punk movement has also been part of the cast of HBO’s ‘Game of Thrones’ as Sir Ilyn Payne back in 2010. In 2013, Johnson was diagnosed with late stage of pancreatic cancer and played what was going to be his final show guesting with Madness on the television program Madness Live: Goodbye Television Centre broadcasted on BBC Four. It seemed as if Johnson’s career was over after he cancelled his two final shows in Canvey Island, but on April 2014, he reappeared at the Icon Awards ceremony to surprise the world with the news that after radical surgery he was now cancer-free. “The Down By The Jetty” album was an early influence on David Tattersall for the way Wilko Johnson combined the roles of lead and rhythm guitar. But for The Wave Pictures, Wilko's music is also loads and loads of fun. Citing David “he's a wonderfully idiosyncratic singer and an original songwriter, always finding a little trick in that old blues song form to make a new, poppy point”. Wilko Johnson doesn't use effects pedals and neither do The Wave Pictures. They have made this EP out of fun. After all, it is homage to one of the most influential guitarists and to the career of this living legend. It is a 10” which has as part of its title the name of his birthplace (Canvey Island), five covers of Wilko’s songs and a new original The Wave Pictures song.